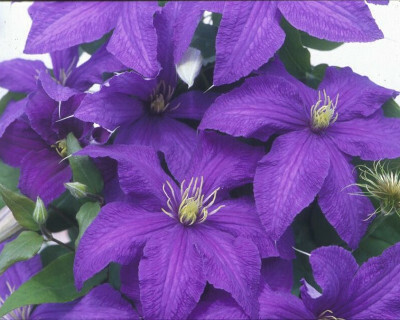 Rhapsody Clematis: blue flowered clematis. The flowers look dark blue. Want Blue flowers? Plant Rhapsody in afternoon shade.